Haussmann Financial, Inc. has been providing retirement planning services for employees of major corporations for over 20 years. We have conducted hundreds of retirement workshops in which we explain retirement benefits and options upon retirement. In this rapid paced society, critical information can change quickly. There are changes in interest rates that affect pension values, changes in vesting requirements and changes in tax laws regarding retirement plans. There is so much information that is almost impossible for any individual to keep up. We specialize in the retirement transition. The process of going from full time work to retirement can be stressful and we are here to assist and guide you. Our organization works with employees throughout the retirement transition process to help you move from your career to retirement as smoothly as possible. If you are considering retiring in the near future we encourage you to contact us today. We have worked with thousands of other individuals in transitioning into retirement and we would appreciate the opportunity to work with you. To learn more about how a relationship with Haussmann Financial can help you plan for your retirement, contact us at (800) 773-8700. Securities offered through Securities America, Inc., a Registered Broker/Dealer, Member FINRA/SIPC. 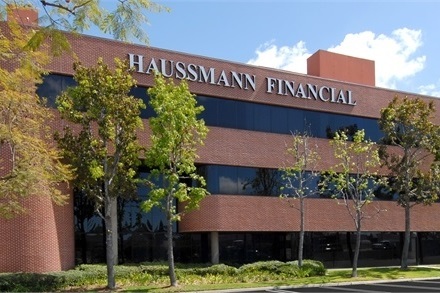 Haussman Financial and Securities America are unaffiliated firms. CA Insurance Lic. # 0756590.